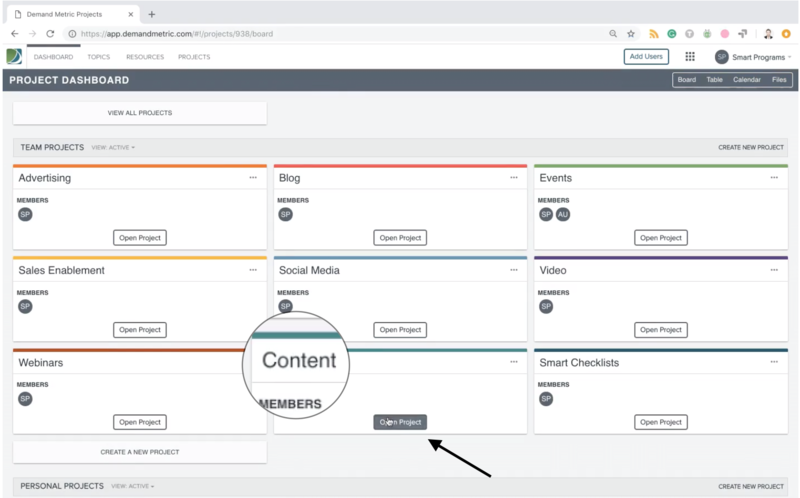 One of the features you’re going to love about Demand Metric is how easy it is to create repeatable workflows with our Smart Checklists. 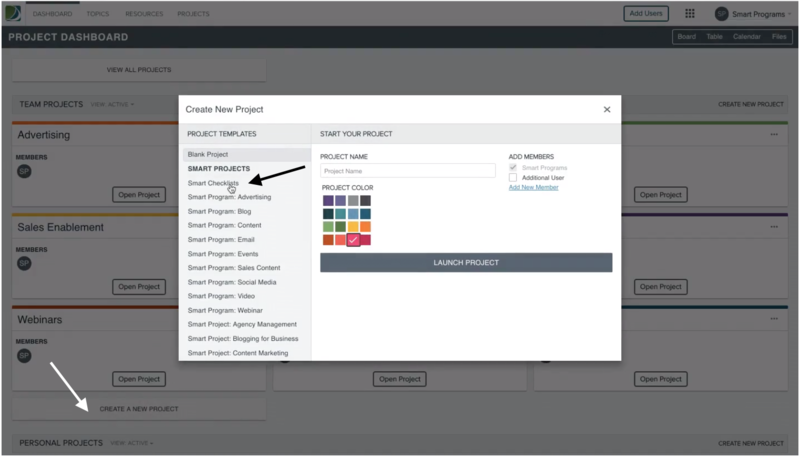 When you click on “Create a New Project,” you’ll see Smart Checklists on the left hand side. 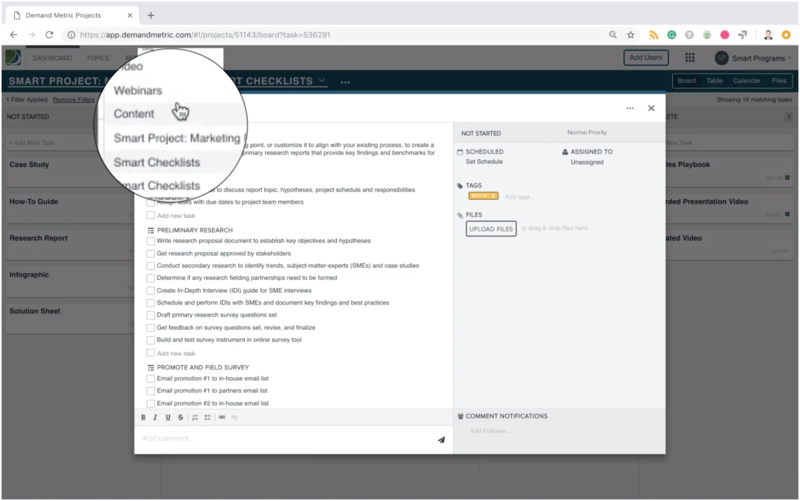 Simply click on it, and a Smart Checklist will be added to your project dashboard. Open up the Smart Checklist and you’ll see a number of typical marketing activities that you might need to do. For example, sponsor an event, build a landing page, create an email promotion or write a research report. Here’s where the fun begins. 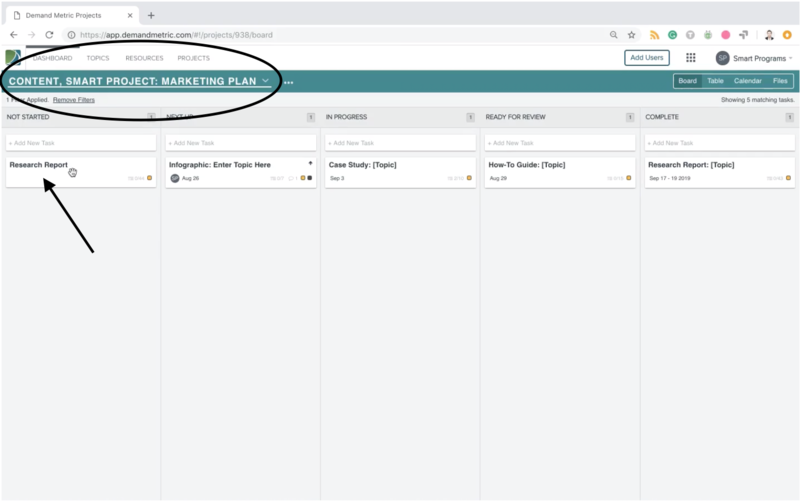 If you click on research report, you will automatically open the task card, where you will see the workflow checklist with all the steps required to write a research report. 1. 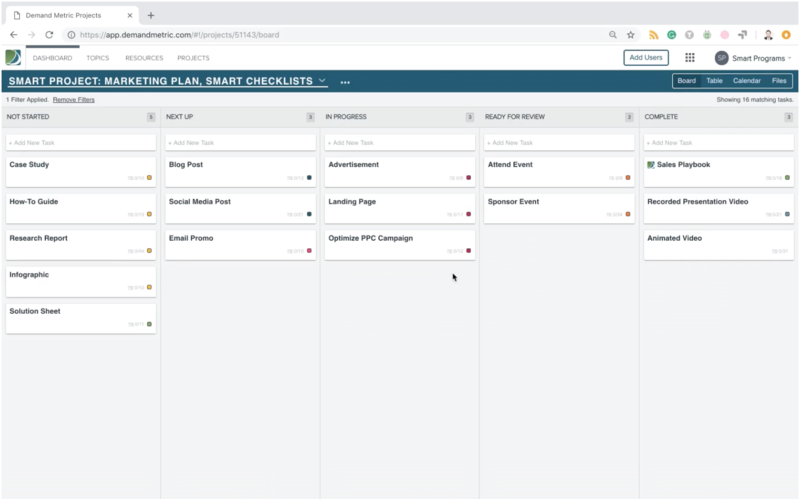 Simply click on Smart Projects at the top left of the task card, and a drop-down list of all your other projects will appear. 2. Choose your Content project, for example. 3. And the research report task card will automatically be applied as a step to complete the project. Looking like a marketing rockstar has never been easier. Want to learn more? Check out how to Duplicate a Task Card.